The blue umbrella "My brolly brolly", a design inspired by street scenes in both Wanchai and Sheung Wan on a rather wet day - comes as a small folding umbrella - perfect for popping in a bag! (and posting as a gift!). 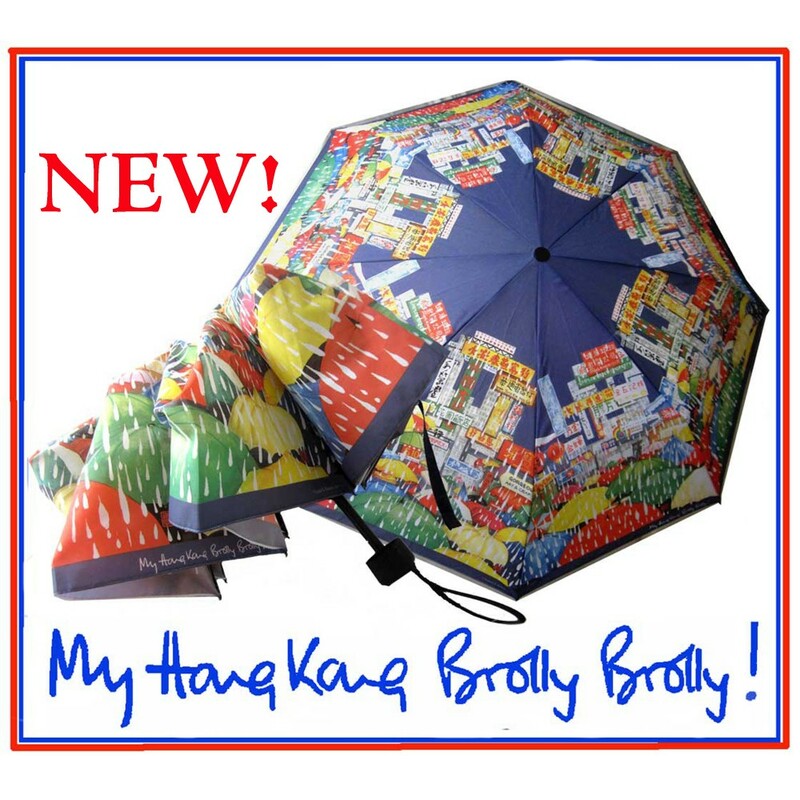 Both these umbrellas, designed by Lorette, have eight hand printed, silk-screened panels; two designs on each brolly, on alternate panels.Lorette's Umbrellas are made for her by UMBREX, the Hong Kong renowned family business that has been making quality brollies for decades. Open Length: 52 cm. 20 in. Open Diameter: 92 cm. 36 in.